A few weeks ago, I had the opportunity to present the Rittman Mead Oracle Analytics Cloud workshop in Oracle's head office in London. The aim of the workshop was to educate potential OAC customers and give them the tools and knowledge to decide whether or not OAC was the right solution for them. We had a great cross section of multiple industries (although telecoms were over represented!) and OBIEE familiarity. Together we came up with a series of questions that needed to be answered to help in the decision making process. In the coming workshops we will add more FAQ style posts to the blog to help flesh out the features of the product. If you are interested in coming along to one of the workshops to get some hands on time with OAC, send an email to training@rittmanmead.com and we can give you the details. Do Oracle provide a feature comparison list between OBIEE on premise and OAC? Very easy to use, but limited compared to the BI Developer Client. It's possible to archive/unarchive catalog folders from on-premise to OAC. Can you ever be charged by network usage, for example connection to an on premise data source using RDC? The combination of OCPU and RAM currently in use (size). The up-time of your environment. So for example an environment that has 1 OCPU with 7.5 GB RAM will cost less than an environment with 24 OCPUs with 180 GB RAM if they are up for the same amount of time, everything else being equal. This being said, there is an additional charge to the analytics license as a cloud database is required to configure and launch an analytics instance which should be taken into consideration when choosing Oracle Analytics Cloud. Do you need to restart the OAC environment when you change the RAM and OCPU settings? PaaS Service Manager Command Line Interface (PSM Cli), which Francesco covered here, will allow this to be scripted and scheduled. An interesting use case for this would be to allow an increase in resources during month end processing where your concurrent users are at its highest, whilst in the quieter parts of the month you can scale back down. The following example scales the rittmanmead-analytics-prod service to the oc9 shape. Oracle supply documentation for the commands required here: https://docs.oracle.com/en/cloud/paas/java-cloud/pscli/analytics-scale2.html . How is high availability provisioned in Oracle Analytics Cloud? Zone Failure: Sometimes it more than just a single server that causes the failure. Cloud architecture is built in server farms, which themselves can be network issues, power failures and weather anomalies. Oracle Analytics Cloud allows you to create an instance in a region, much like Amazons "availability zone". A sensible precaution would be to create a disaster recover environment in different region to your main prod environment, to help reduce costs this can be provisioned on the Pay-as-you-go license model and therefore only be chargeable when its being used. Cloud Failure: Although rare, sometimes the cloud platform can fail. For example both your data centres that you have chosen to counter the previous point could be victim to a weather anomaly. Oracle Analytics Cloud allows you to take regular backups of your reports, dashboards and metadata which can be downloaded and stored off-cloud and re implemented in another 12c Environment. In addition to these points, its advisable to automate and test everything. Oracle supply a very handy set of scripts and API called PaaS Service Manager Command Line Interface (PSM Cli) which can be used to achieve this. For example it can be used to automate backups, set up monitoring and alerting and finally and arguably most importantly it can be used to test your DR and HA infrastructure. Can you push the user credentials down to the database? You can store user group memberships in a database and for your service’s authentication provider to access this information when authenticating a user's identity. You can use the script configure_bi_sql_group_provider to set up the provider and create the tables that you need (GROUPS and GROUPMEMBERS). After you run the script, you must populate the tables with your group and group member (user) information. 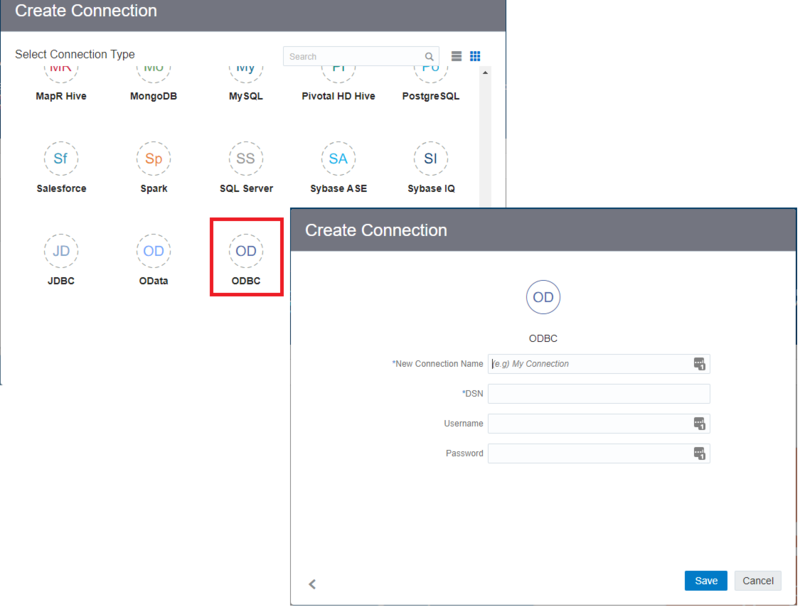 Group memberships that you derive from the SQL provider don't show up in the Users and Roles page in Oracle Analytics Cloud Console as you might expect but the member assignments work correctly. These tables are in the Oracle Database Cloud Service you configured for Oracle Analytics Cloud and in the schema created for your service. Unlike the on-premises equivalent functionality, you can’t change the location of these tables or the SQL that retrieves the results. 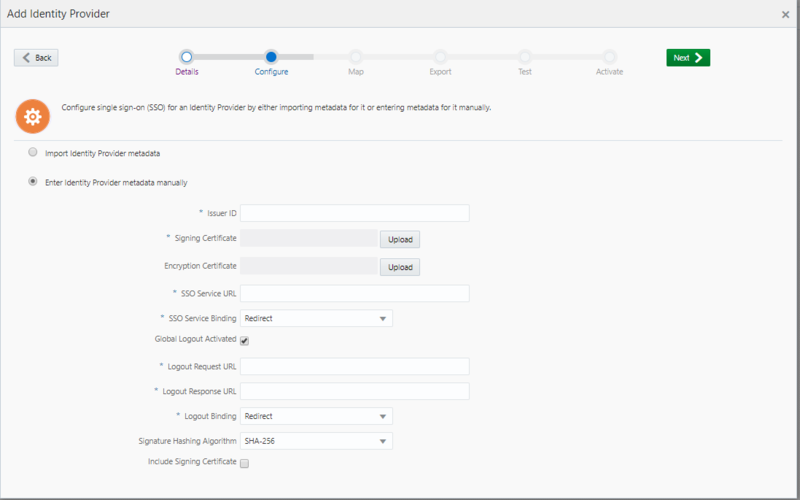 Can you implement SSL certificates in Oracle Analytics Cloud? Can you implement Single Sign On (SSO) in Oracle Analytics Cloud? Oracle support Doc ID 2399789.1 covers this in detail between Microsoft Azure AD and OAC, and is well worth the read. Are RPD files (BAR files) backwards compatible? How do you connect securely to AWS? Can you still edit instanceconfig and nqsconfig files? Its also worth mentioning that there is a guide here which explains where the responsibility lies should anything break during customisations of the platform. Who is responsible for what regarding support?